A perfectly timed burst of flash from behind the couple caught this chaos unfolding, freezing every detail of the wild celebration. 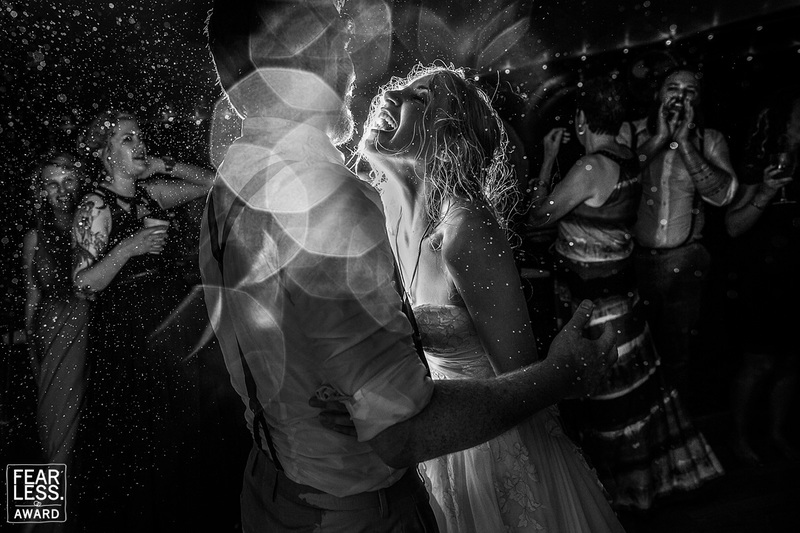 The air is full of droplets, the bride's laugh is as big as can be, lens flare sparkles in the foreground, and the crowd is totally engaged. It's an image of total abandon—and it pulls us right into the fray!